ARCH ENEMY - WAGES OF SIN (2CD) | Online Shop | Wizard LTD. 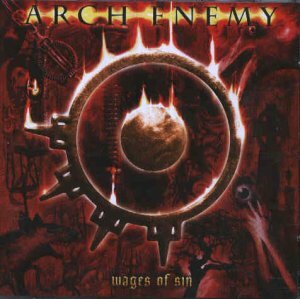 Album: "WAGES OF SIN (2CD)"
Wages of Sin is the fourth studio album by the Swedish melodic death metal band Arch Enemy. It is the first Arch Enemy album to feature the vocals of Angela Gossow. It is also the first album they use Standard-C tuning, which they still use today. The first pressing of this album contained a bonus CD, titled Rare & Unreleased. These songs feature the band&apos;s previous vocalist, Johan Liiva.